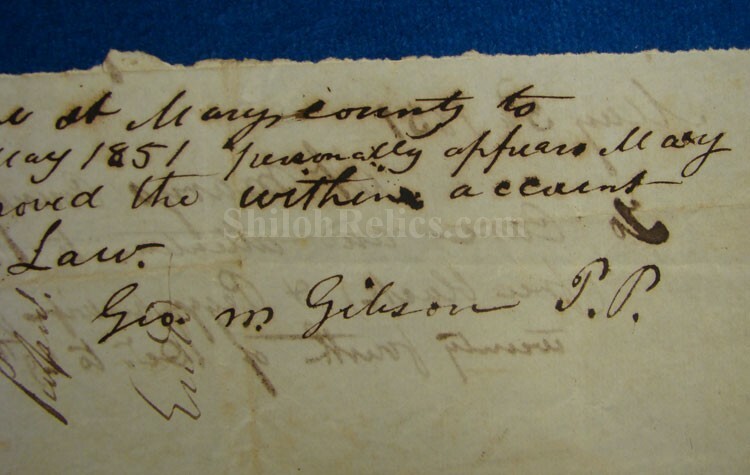 This is an interesting original document that is dated from May 3rd 1851. It is from St. Mary's County in Maryland. 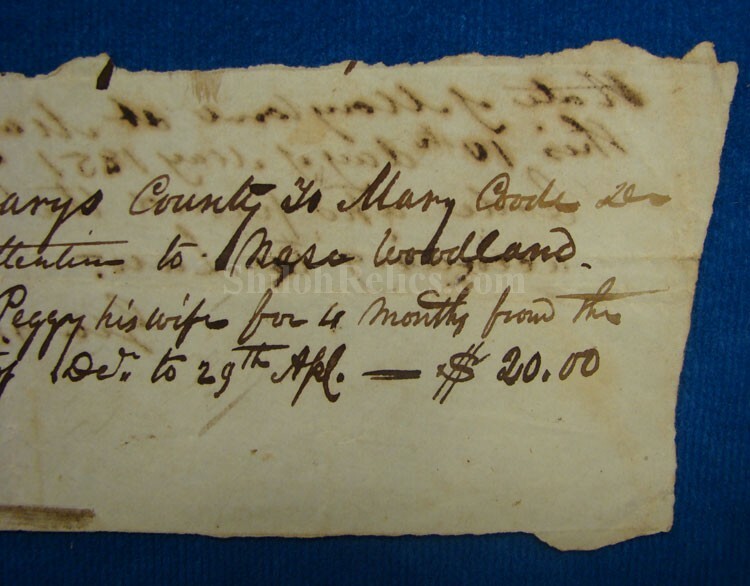 It shows that Mary Code had been paid $20.00 for "care and attention". What is interesting is who they gave the attention to. It states that it was done for "...Masa Woodland (Free Black) + Peggy his wife for 4 months from the twenty fourth of Dec to 29th Apl.". 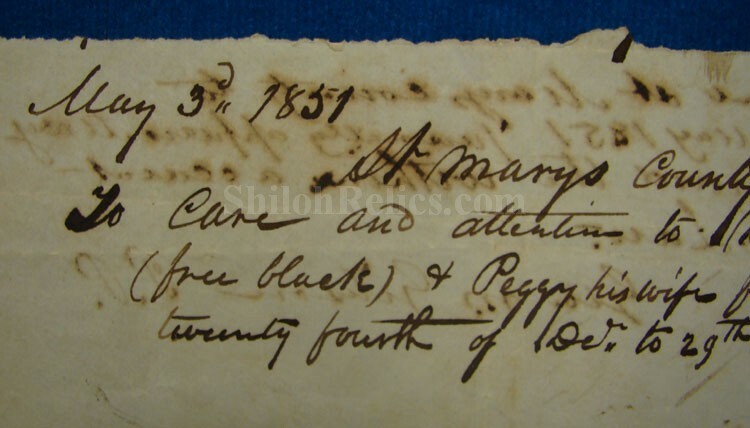 The paper is 7-1/2 inches by 2-3/4ths inches in overall size and the fine old brown ink is clear and very legible. It is an interesting document from the antebellum South.